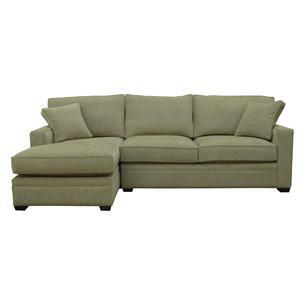 Comfortable and casual, this stationary sectional sofa is the perfect addition to your family room or entertainment area. 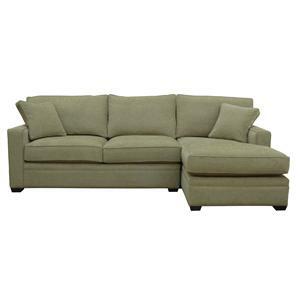 Composed of a cozy loveseat on its right and a lengthy chaise on its left, this 2-piece sectional is just what you need for kicking back and putting your feet up after a long day's work. 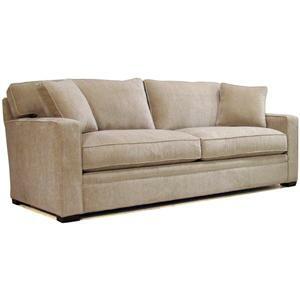 Great for intimate group settings, this sofa has no trouble accommodating a handful of your favorites guests. 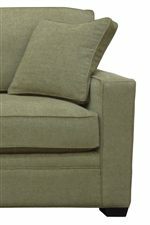 Its casual-contemporary style features track arms and tapered wood feet, while its soft and durable interior includes polyfoam and fiber-down blend cushions and pillows. 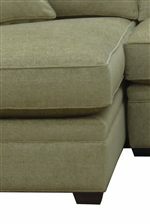 The 0693 2-Piece Sectional Sofa with Left-Arm-Facing Chaise by McCreary Modern is available in the area from BigFurnitureWebsite. 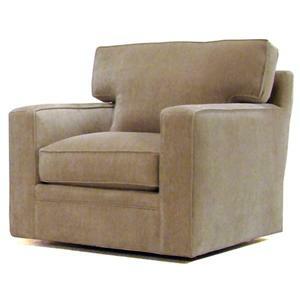 0693-CLB LAF Chaise 1 36" 67" 37"
0693-LRB RAF Loveseat 1 58" 43" 37"